Morningside - Great location - close to I65 and downtown with highly rated Washington Township Schools. MLS#21635335. Keller Williams Indy Metro NE. Plantation Meadows - Neutral throughout for easy move-in without need for renovations! MLS#21635716. RE/MAX Results. Parkwood Terrace - * You will be impressed with the size of the other 3 BDs, too*Huge backyard w/wood deck/patio*FULLY FENCED REAR YARD great for pets & a MINI BARN for additional Storage*Easy access to I-70 * close to Schools and Shopping* MLS#21635966. Simpson Real Estate, LLC. Buck Creek Village - Stainless steel appliances included. Move in Ready. MLS#21635682. CENTURY 21 Scheetz. There are many things to enjoy and appreciate about this home. MLS#21635714. F.C. Tucker Company. Maple Ridge Estates - Highest and Best Offer by Noon - April 30, 2019 MLS#21635680. Keller Williams Indy Metro S.
Indian Creek Estates - This 3 Bedroom, 2 Bath Tri-Level features include: Formal LIVING ROOM with vaulted ceiling, Spacious FAMILY ROOM with storage closet, area off of F/R is currently used as a formal DINING AREA but could function as BONUS AREA- Eat-In KITCHEN includes all appliances-Large MASTER BEDROOM-Nice manicured lawn offers a fenced in BACKYARD and 14X11 Mini Barn-HOME has been meticulously maintained and lovingly cared for. MLS#21635825. Property Logic. Home being Sold AS-Is Where-Is. So much potential here. 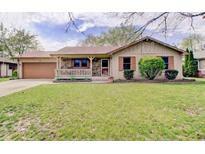 MLS#21635284. Homesmart Realty Group. Eagledale - 3 Bedroom home - Super location - walking distance to the Indianapolis Motor Speedway***Gorgeous updated kitchen with new cabinets, appliances, tiled backsplash and suede Granite counters***Custom Breakfast Bar opens to the Living room***Remodeled bathroom, laundry room with storage cabinets***All windows have been replaced***Seller has added a Covered front porch and Paver patio***Updated Electrical, Plumbing, & sewer line***Garage with all new concrete, pegboard all around***Fenced corner lot with mini barn***Immediate possession*** MLS#21635713. RE/MAX At The Crossing. MLS#21635877. Sullivan Realty Group, LLC. Traditional features includes hardwood flooring in the living room and dining room, arched doorways and corner china cabinets in the dining room. MLS#21630765. F.C. Tucker Company. Biltmore Gardens - Large back yard, Solid wood cabinets. MLS#21635766. Keller Williams Indy Metro NE. 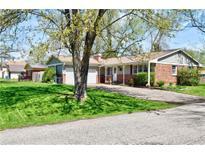 North Eastwood - Great investment property on Indy's Northeast side. MLS#21635597. Brick Lane Property Management. 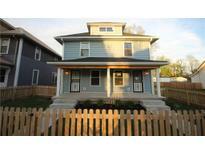 Investment property on Indy's northeast side MLS#21635610. Brick Lane Property Management. 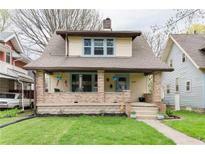 Great west side investment property! MLS#21635603. Brick Lane Property Management.